by Christopher Beaubien • September 28, 2009 • Start the Discussion! Put Your Fibs Together and Blow! People are usually very straightforward. While talking with someone, you have a good idea of what they’re thinking. And yes, it is very boring. 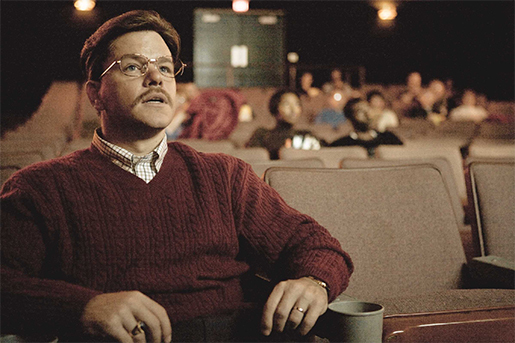 That is why the title character Mark Whitacre as depicted in Steven Soderbergh’s The Informant! is cause for relief. The man has a two-track mind. His habitual expression is pleasant but blank. Just listening to his outrageous thoughts makes me wonder how exhausting it must be for him to keep a straight face. The thoughts — my God, the tangents! His brain must be covered with zigzag tracks. Perhaps it wouldn’t be so bad to read the thoughts of others, if only for the entertainment factor. Then again, Mark Whitacre is a rare breed. Only such a character — emphasis on character — could inspire such a perceptive and infectious human comedy that hides under a corruption scandal thriller. by Christopher Beaubien • September 24, 2009 • Start the Discussion!